“Don’t talk about products and services at all. Instead, tell stories. Be interesting, create something that’s going to be valuable. 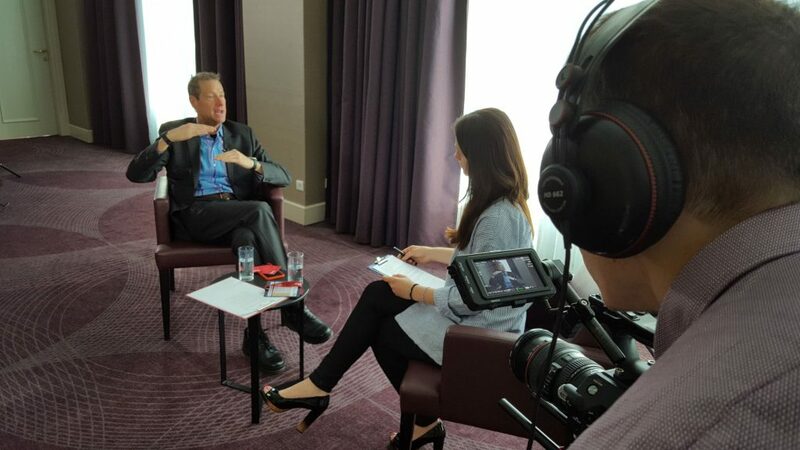 My suggestion is always: don’t start with what your company does, instead start with the problems that your buyers have” – advises David Meerman Scott in our interview. Last week I had a pleasure to speak with David Meerman Scott, who is an internationally acclaimed strategist and author of several books, most notably: “The New Rules of Sales and Service: How to Use Agile Selling, Real-Time Customer Engagement, Big Data, Content, and Storytelling to Grow Your Business” and “The New Rules of Marketing and PR: How to Use Social Media, Online Video, Mobile Applications, Blogs, News Releases, and Viral Marketing to Reach Buyers Directly.” Scott’s insights and advice help people, products and organizations stand out, get noticed and capture the hearts and minds. He also writes a popular marketing blog and is active on Twitter. In the following interview, Scott talks about how sales and service have changed, why the older rules aren’t working anymore, how to stand out online, what are the greatest mistakes when creating a buyer persona, should newsjacking be a part of communication strategy and what traps we should be aware of. Edyta Kowal: You came to Warsaw to give a lecture about the new age of sales and customer service. Why are the old rules not working anymore? And how we – marketers, content marketers, PR pros and all the people working on behalf of brands, can make the new rules a part of our mindset. How to make them work for us? David Meerman Scott: As you know, the way that people buy is changing. And it’s been changing because we have so much opportunity to do independent research on the web. So it’s so much easier now to learn about products and services, because all you have to do is, do a search on Google or another search engine. You can go to a social network, LinkedIn, Twitter, Facebook – whatever, and you can find out all the information you need to know about what product or service you might be interested in buying. So that means that companies have to change. It means that sales people have to change because we have to realize that the way you reach people is now through those tools. What I am going to talk about during my today’s presentation is how to bring the way companies sell with the way people buy go into alignment. Because today it is out of alignment for many companies. They’re selling in the old way and people are buying in a new way so I want to bring that into that alignment. What that means is you have to focus on content marketing, on the sales people understanding how to curate content and very importantly – you have to focus on real-time, on what is happening right now, not just on your campaigns for the future. 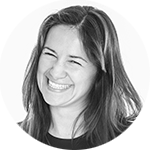 Edyta: What about content marketing? How to stand out when everyone is creating content and most content is about products. How to get noticed? David: First of all, I don’t agree that there is too much content, and I don’t agree that it’s difficult to stand out. I think it’s actually easy to stand out if you do a few things. The first is: don’t talk about products and services at all. Instead, tell stories. Be interesting, create something that’s going to be valuable. My suggestion is always: don’t start with what your company does, instead start with the problems that your buyers have. So as you are thinking about what content to create, if you understand really deeply the people you are trying to reach – I call them buyer personas, but you understand your buyers really well – and then you create something that is going to be valuable for them – that will then get you to stand out. But most people don’t do that. What most people do, is they focus only on products and services, and that just doesn’t work so well. The other thing I see that’s really important is if you really do understand those people you are trying to reach, you can then create detailed so-called “long tail” content – information that’s very narrowly focused. The biggest mistake that content marketers make is they make their content too broad. And they say “Oh, we are selling hotel rooms in Poland, so let’s talk about hotel rooms in Poland.” No, it’s not gonna help. But if you get very narrow and you say “What are the top 25 things to do in Poland at night from the hotel,” you know, you just think of the ways that you can get people interested. It’s a very different approach than what most companies are doing. So I think there is a lot s of room for companies to break through and to be able to reach people through content even though lots of people are making content because most people are not making good content. Edyta: You tweeted lately – and I love it – that marketing success comes from creating content like a publisher, not an advertiser. So you are a writer first and a marketer second. Was it always like this or you got to the point when you can finally call yourself a writer? David: Well, I was really lucky in my career because I started off in a bond trading desk on Wall Street and so I understood real-time content. Then I worked for almost 10 years in the real-time online news business. I worked for a company called Knight-Ridder, and we were competing with Reuters, Dow Jones, Bloomberg, etc. After that I worked for a company called NewsEdge and NewsEdge was acquired by Thomson Reuters, so I worked for Thomson Reuters for some time. So I understood real-time information, and I understood real-time journalism because I was working for a real-time news company. And all of that was before I started to talk about content marketing, because then – back in 2002 – was when I started my own business, and I started to focus on this idea of content marketing. I didn’t call it “content marketing” until around 2004, but in 2002 I started to talk about it. And I was lucky because I already had a background in real-time information, and I already had a background in real-time journalism. So the leap to make content marketing about brand journalism was easy for me, but I realized that it was really difficult for other people. Because so many people were into advertising, talking about products, talking about services – which didn’t work so well. For me it was easy, having come from the world of journalism and the world of real-time content. I was given an unfair advantage. I was very lucky. Edyta: What about trust? Many people – especially traditional journalists – have a problem with that. David: The problem is if the content is created on behalf of the brand, but it only talks about products and services, then I wouldn’t trust it either. But the content that is created on behalf of the brand that has value, that reaches people, that helps to solve problems is still incredibly valuable. In fact, many companies that I work with actually hire professional journalists to become part of their team. So today in my presentation I’m going to be talking about Raytheon – a big American company that has a number of journalists on their team, including one reporter, Chris, who used to work at the Associated Press, and he was a wire service reporter and won the Pulitzer Prize. So that’s real journalism. It’s not a fake kind of thing. I think that the trust factor is lost when an advertising-driven person, someone with an advertising mindset says “Oh, I am going to create some brand journalism” but they’re really an advertiser. It’s hard for them to make the switch. But if you take professional journalists and put them into a company, many of them are able to make that shift to be working in the company. They’re still bringing all of their tools as journalists and they can create great information. Two weeks ago I had a chance to spend the day with the public relations people at the Cleveland Metropolitan School District, Cleveland Ohio. They have about four or five people in marketing who are creating content for their website, to reach parents and the community in Cleveland, and the way they do it is that they actually have journalists on their staff. They hired two people from the local newspaper and another from a local television station, and these are the people who create the content for them. They are still journalists, they still have integrity, and they’re still creating something that is valuable. They just happen to be working for a school district rather than working for a media company, and that’s the way it works well. The way it doesn’t work and where I think people get critical – and they should – is when they take someone who is a career marketing person or a career advertiser, and they all of a sudden say “Ok, you have to switch now and become a journalist.” It’s hard to do. You can’t do it that quickly. Edyta: You mentioned that they are still journalists. Are they? Some people wouldn’t agree. David: They are still telling stories, still researching what’s interesting at that company and something that they can talk about. Sure, they don’t have a requirement to talk about the competition, to look at both sides, but that doesn’t make it less of journalism. It’s still understanding what is going on in a particular topic, figuring out what’s interesting, figuring out the angle, figuring out what the story is underlying the topic and creating something that’s valuable either in print, text, photograph, video, etc. It’s still journalism. David: What’s interesting to me is that media companies are going in the other direction. It is said all the time, that media companies have to tell both sides of the story, it’s all about creating the news… but media companies now have to make a profit. And it’s very difficult in the world of so much information. I have a blog. Millions of people have a blog. We compete with media companies. Edyta: So brand journalism is going to “save” traditional journalism? David: Traditional journalists are becoming more like a for-profit brand and they have to make their content “sellable,” otherwise people don’t consume it. Therefore many of them are drifting away from pure journalism. If the only think you talk about is what the latest celebrity is doing – is that real journalism? It’s interesting – brands are embracing journalism and maybe many media companies are less embracing real journalism. Edyta: Yeah, it’s interesting. You talked of real-time marketing. What should we do when our bosses say “no” to real-time communication? Should newsjacking be a part of our strategy? David: What you should think about saying to your bosses is “Hey, do you think it is a good idea to reach our potential customers quickly?” People will say “Yeah, of course!” Then you say “Ok, I want to do some real-time marketing.” It becomes, number one, the way you talk about it, the language you use. But the other thing is that it requires a mindset shift on behalf of the company. The company has to say: “I need to change because the world is changing.” Because everyone is real-time, we all have one of these in our pockets. So that means, if somebody sends me a text, I respond right away. If it’s important to reach someone you can reach them right away, and that should be the same thing when you are talking about a brand. A brand should be responding in the same way that a person does. *Meeting with David was the last one in the Elite Sales Program 2015/2016 conference series organized by Harvard Business Review Poland.